OurTime is an online dating site geared towards men and women over 50 years old. Freed from the inhibitions, confusion, and inexperience of immaturity, OurTime helps people in their golden years embrace love in a way that only someone who’s “been there and done that” truly can. The site’s algorithm produces roughly 10 suggested matches per user each day, which you can view in the “Today’s Matches” section. If you’d like to find a match yourself, you can use the “I’m Interested” feature to browse filtered profiles, or the “Who Do You Like” section to flip through photos and saving the ones you like for later. You can also conduct a detailed search using a variety of filters, including age, location, religion, zodiac sign, height, ethnicity, and even blood type. If you’d like your profile to be more visible, you can use tokens to purchase “Promote Me,” which will put your profile at the top of other users’ search results for 60 minutes. 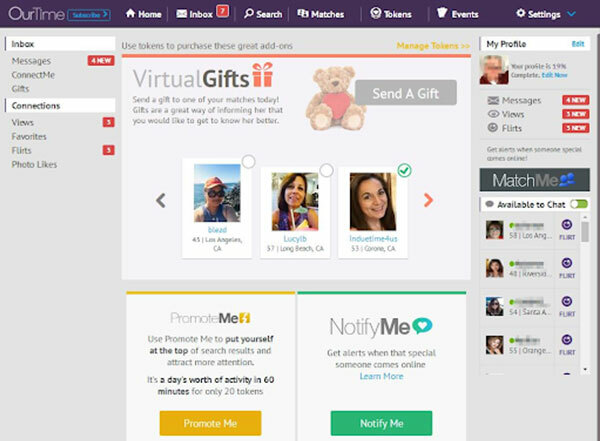 OurTime offers users a set of interactive communication tools. You can open up the chat window to see who is online and available to chat. If you’re interested in someone, you can send them a cheeky flirt or virtual gift to spark conversation. Alternatively, you can use one of the 4 pre-written “Message Ideas.” If you’d like to go offline and still be able to chat with other singles without revealing your phone number, use “ConnectMe”—a feature that lets you do just that. Which do you prefer - morning or night? Which do you prefer - sweet or savory? To provide a system with a sense of your taste and type, you will be asked to mark people you could be interested in from a suggested list. After that, you can purchase a subscription plan, although you will be able to browse between profiles and people’s photos without paying. If you’d like to reach out to someone, you will have to upgrade to a paid subscription. There are multiple ways for members to pay for premium membership. Keep in mind that OurTime automatically renews your subscription once you’ve provided your credit card information—make sure to keep track of that. OurTime certainly developed its user experience with its target demographic in mind. With a simple and visually appealing main dashboard, you can clearly view user updates such as news and photos. When it comes to communication, the site provides you with various ways to reach out to other users—chat, email, and message boards are all available for you to pick the most convenient option. And lastly, with OurTime you can be sure you’ll never forget anyone you interact with, as the site tracks and displays all of your previous encounters. OurTime provides members with extensive tips on dating safety, like making sure your first date is in a public place, and that you let a friend or loved on know where you’re going. 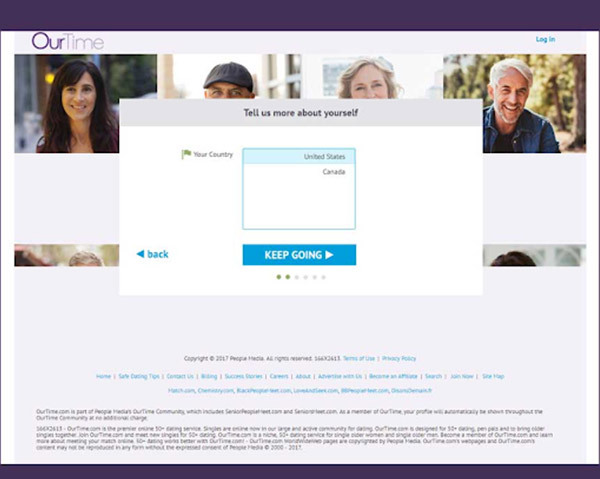 In addition, OurTime advises to never give out sensitive, personal information to people you meet online. Is OurTime Right for Me? 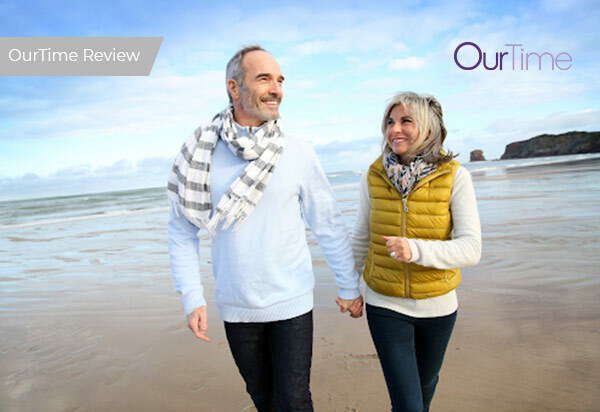 If you’re over 50 and looking for anything from a travel buddy, to a dinner companion and even marriage material, OurTime could be right for you. Whether you’ve had love story before or you haven’t found that person just yet, OurTime brings together like-minded individuals looking to spend time with a loving companion, and most importantly, never compromise on their happiness.